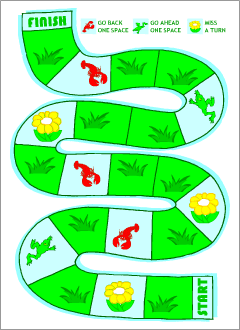 This is a board game with cards for 2-4 players (or teams) to practise English greetings, animal names and the alphabet. Shuffle cards and put in a pile face down. Tiger, Tiger, you live in the Zoo. Hello, Tiger! How are you? 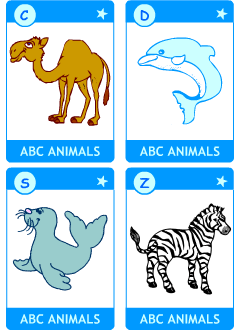 26 abc animal cards to play different language games. 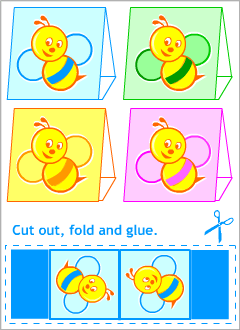 Kids can use our templates to make their own game markers.